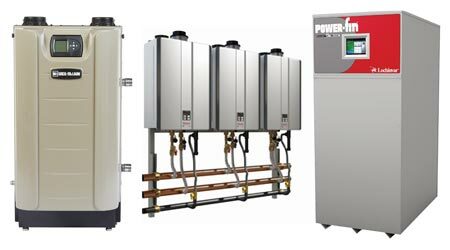 The performance of boilers and water heaters is a key element in the efforts of institutional and commercial facilities to hold down utility costs. For maintenance and engineering managers trying to deliver efficient boiler performance, identifying performance problems is a key first step. By identifying the most common sources of energy waste in boilers and water heaters, managers can develop measures that technicians can implement to increase efficiency and deliver bottom-line benefits to organizations. The load requirements on boilers and water heaters vary greatly across regions and building types. Monthly and weekly load requirements also can vary significantly across different climate regions. One effective way to estimate monthly and annual loads and heating costs is by determining the number of heating-degree days. Managers can obtain this number, which varies by region, by checking the average local temperature and the 65-degree standard for when a building should enter its heating mode. This standard indicates a higher number of heating-degree days means the building is in a location that requires more heat. While weather and climate are important factors in determining the load for a water-heating system, it is important to ensure that systems in question are up to date. Using out-of-date equipment can increase the amount of efficiency losses. Boiler efficiency is determined by the ratio of heat output to the amount of fuel used. Older heating systems generally run between 56 percent and 70 percent efficiency, which is a significant loss in energy savings when compared to their modern counterparts. Most modern boilers and water heaters run around 80 percent efficiency — a significant difference when it comes to energy savings. If a boiler is running at less than 80 percent efficiency, it might be time for the manager to consider upgrading the system. Even more impressive, many of the high-efficiency models that implement sealed-combustion and flue-gas recovery technology can enable boilers to reach as high as 98.5 percent efficiency. Managers do not necessarily need to consider spending for an entirely new system. Many available system upgrade options can improve efficiency. Managers also can deliver energy savings related to boilers by having operators adjust the fuel-to-air ratio at the combustion chamber of the boiler. By allowing excess air into the combustion chamber, the result is more fuel being burned. Operators need to achieve a balance because too much air will also result in not allowing enough fuel being burned. The most important byproduct of the combustion process is, of course, heat, so the better the combustion efficiency of a boiler, the more heat the gas will produce. It is especially important in condensing boilers for the combustion temperature to be high. Otherwise condensation will corrode the heat-transfer surfaces. One good indicator of the amount of loss that is occurring during the combustion process is to check the flue-gas temperature. The higher the temperature, the lower the combustion efficiency. For larger systems — generally, those above operating limits of 100 horsepower and 75 per square inch gauge — providing flue-gas economizers in the system could recover lost heat. These economizers take heat that otherwise would have been lost through the flue and return it as usable heat for the boiler. Using a flue-gas economizer effectively can provide a significant increase in the efficiency of a larger boiler, though smaller systems can have a difficult time creating enough heat to provide any significant heat recovery.